Traveling with a young baby is a daunting prospect for any parent. You always worry that you will forget to pack something. The journey itself can feel twice as long depending on the mood of your offspring. And, if they are ever at all bored when you arrive at your destination, you will be the first to know about it. Getting away, however, is good for you and the little one(s) as sometimes you just need to take yourself away from it all. A holiday can reinvigorate you on physical, mental and emotional levels where you may have been running on empty, but you aren’t going to feel re-energized if you can’t relax. Fear not, new mommy, because we have you covered with our handy new mom vacation checklist to help see you to a nice relaxing holiday with little one(s) in tow. If nothing else, do not forget to pack children’s toys and comforters, especially if your vacation includes a long-haul flight. Not only will distressed infants be stressful for you, but also to the rest of the passengers on the plane – at 40,000 feet in the air, it can be a lonely place to be for a parent. 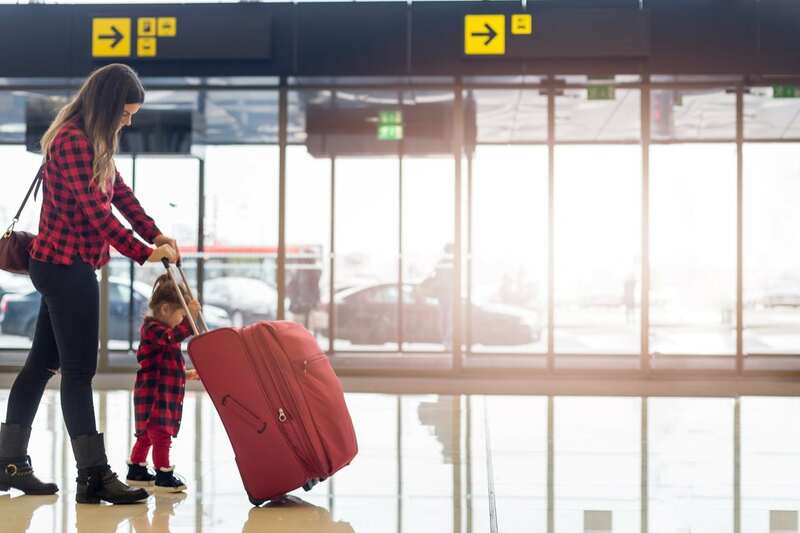 Not all travel destinations are child-friendly and it is not unusual for hotels to be exclusively for adults, meaning that young babies are not welcome. Somewhere that includes children’s activities onsite and has nearby amusements, as well as a beach (of course) should be the first thing that you look for. Always look for all-inclusive options for your vacation because, with a little one to feed and water, you won’t regret it. This means that you won’t have to pay a premium every night for your evening meal, or breakfast in the morning. While you may want to enjoy a dining experience outside of the hotel on a couple of occasions, knowing that you have the option of eating for free is one less burden to carry which your bank account will thank you for. If you have the option of travelling outside of the school holidays, make the most of this luxury while you can because prices can increase astronomically. It is also worth conducting your own research on potential destinations, such as if you may be looking to visit Dubai before the summer seasons kick in as this could potentially clash with Ramadan. It is definitely worth educating yourself about any local festivities that may coincide with your holiday. A helpful piece of advice that not many travel agents tell you is that, when traveling with children, it is always worth hiring a car because little to no taxis offer child seats. Traveling without a child safely seated is an offence in most countries and responsible taxi drivers simply wouldn’t allow you to travel in the car. If you do not have a driver’s licence, research into other forms of public transport such as trains and buses. Finally, make sure that where you are traveling to is not going to be overbearingly hot – temperatures north of 73℉ are too much for young babies to handle. Not only will this cause discomfort for your young one, the strong rays of sunlight can present a number of health risks, even when sunscreen is applied. Hopefully, our new mom vacation checklist has helped you decide on your next vacation and, if so, we hope you have a great time and remember to send us a postcard! Aaron is a seasoned traveller with a keen interest in exploring Middle Eastern culture and observing practices during Ramadan and other religious festivals.